Are you in need of getting your batteries recharged with energy, strength, C-vitamins and cleansifying food? Do you need a fresh start, a peaceful mind and especially… a vacation?! 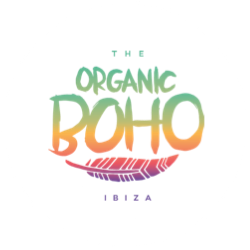 Join MamaGun Pilates X The Organic Boho for a week at the energizing retreat on the magic island IBIZA. We promise to give you a relaxed retreat in beautiful surroundings with main focus on strengthening pilates combined with 100% vegan, organic homemade food. In the morning we will create a beautiful breakfast bowl full of organic seasonal fruits and various dry super foods from the Magic Island. Enjoy this with a fresh pressed juice and a energizing seasonal ginger shot. During the daytime you will get the opportunity to discover the lovely magical Island, markets and the secret spots of IBIZA. In the evening it’s Buddha Bowl time! A Buddha bowl contains beautiful seasonal vegetables topped with sweet potatoes, nuts, avocado or oven baked cauliflower and homemade humus. Pilates instructor Gunnvør Virgarsdóttir will guide you through both morning and evening classes of strengthening pilates to build up your muscles and cleanse your mind from the daily routines at home and bring you back to zen. Pilates will strengthen your core, exercise and tone every muscle in your body. Making you strong & healthy. It also improves your posture and gives you a flat belly. We have used a lot of time on developing our own vegan, organic patty the boho way, and on this course we will teach you how to make this delicious patty with red beet. We will also show and teach you how to make our very best secret dressings, with ingrediens such as Matcha, edamame, black ferment garlic, sorrel & edible flowers. NOTE: This is free of choice. All this you will receive from the founders of THE ORGANIC BOHO. We will introduce you and give you a proper introduction to the vegan lifestyle and what it is about, and Maria that has an education, as a personal trainer/Nutritiun coach will be by your side going through all the steps of our amazing food step by step. What is not to like with a week of full charged batteries with Pilates, Organic homemade vegan food – and if you like you can also participate in one of our vegan cooking classes. You will check in at the location which will be located in a quiet secluded area of Ibiza. At the location we will do our very best to make you feel at home surrounded by good karma and sublime staff service so you only have to think about yourself and get down in speed. You will be served with vegan homemade organic breakfast and dinner by The Organic Boho. A flight ticket included CPH/IBIZA-IBIZA/CPH. 6 nigths in a authentic FINCA. Transportation from IBIZA airport to the FINCA & back. vegan organic food from The Organic Boho. 1 hour cooking class from The Organic Boho. Time to relax and enjoy the sourrondings and the Magical Island. Trip to Es vedra(not obligatory). The last evening we will have a dinner together on a cozy restaurant. (Own cost). We will of course think of peoples individual levels. Date: 11-18 of November 2017. We reserve the right to cancel the retreat if we have less than 10 participants. Email: mail@mamagunpilates.com for registration or questions regarding the retreat. The deposit has to be transferred to Jydske Bank. Reg.nr.5078 Konto.nr:0001205443. Pr@theorganicboho.com/+45 53 55 34 32 or mail@mamagunpilates.com/+45 28 47 74 05.